Here in Pennsylvania, we’re currently experiencing three different seasons in one week. We just saw snow on Saturday, Monday was spring, and the forecast says summer temps are on their way. What gives? It’s been a horrible week for our thermostats, hasn’t it? The fluctuation of our interior temperatures doesn’t do much for our wallets because constantly adjusting up and down isn’t energy efficient. However, there is a more efficient option on the market and Congress just made it more wallet-friendly to go geothermal! 2018 is certainly coming up green for some homeowners! 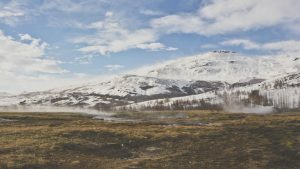 Recently, Congress made the decision to reinstate tax credits for geothermal heating and cooling systems. Don’t worry if you installed your system after the initial tax credits had expired, as the ruling included making the credits retroactive to January 1, 2017, all the way through 2022. For units installed between 2017 and 2019, homeowners are eligible for a 30% tax credit. This is the highest credit you will get for installing a geothermal system, as the credit will drop to 26% in 2020 and again to 22% in 2021. This credit differs slightly from the original, however, in that homeowners are able to use the date on which the project begins for eligibility. This means, you may begin the installation of your geothermal unit on January 1, 2022 and still apply for the credit. As a geothermal customer, you can apply the credit to a replaced geothermal system as well as a brand new one. Don’t wait to take advantage of such a great opportunity and harvest the natural power of the earth to heat and cool your home! Thirty percent can’t be beaten, so now is your best chance to get out of the inefficient heating and cooling system you’re currently using. If you’d like to speak more about geothermal heating and cooling, contact us today!